Better late than never, we've had time to pen our thoughts and shared learnings! 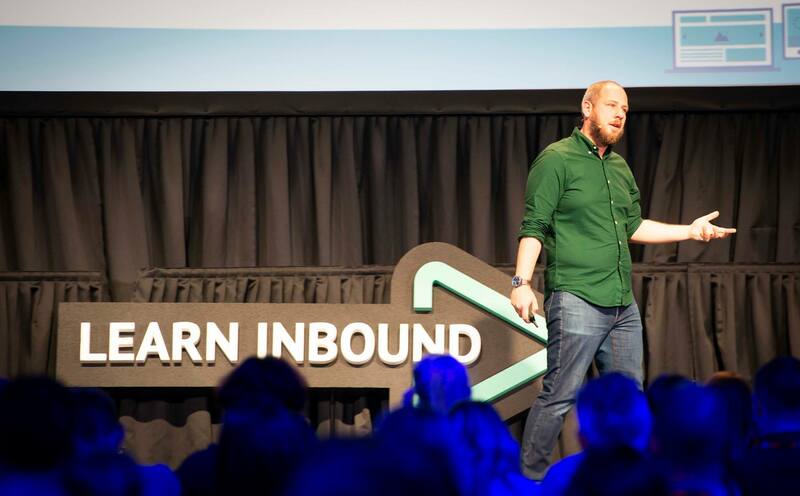 On Thursday, September 13th a group of us lucky Wolfgang SEO'ers had the great pleasure of attending the latest Learn Inbound conference in Dublin's Mansion House, but a stone's throw from us here in Wolfgang HQ. We walked in the doors of the Mansion House, grabbed a coffee and had a chat with a few of the sound digital marketing types that were gathered around. All in good time we were prompted to take to our seats, as we prepared for a day of insightful talks from some of the worlds thought-leaders when it comes to inbound marketing. From the spectrum of SEO topics, through to the finer details of content and PR, it was all covered from various interesting angles. Here are some of our highlights from the day, from an SEO'ers perspective. 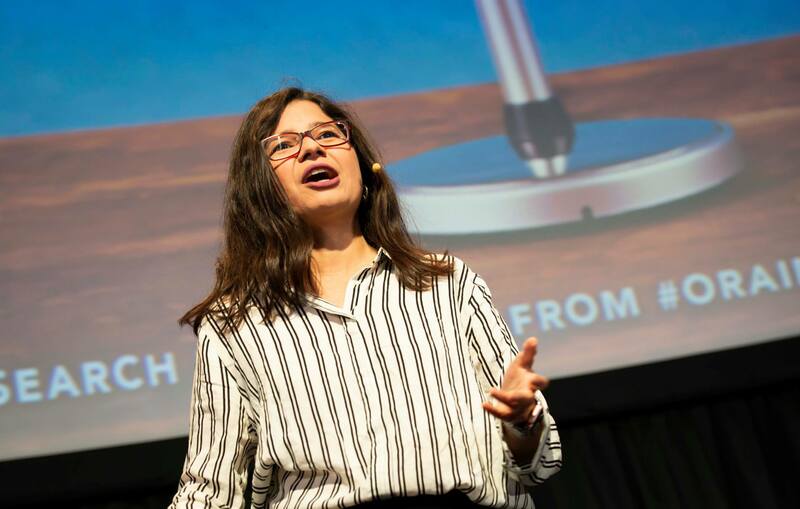 The morning kicked off with none other than Aleyda Solis, who was full of energy (at 9 am) and excited to go over all things ‘voice search’. Aleyda is a well-known thought-leader within the global SEO community. She writes for some of the most authoritative online publications on the topic of search engine marketing, i.e. Moz, Search Engine Land and Search Engine Journal, as well as being an award-winning practitioner. So, it’s fair to assume Aleyda knows what she is talking about when it comes to SEO. In the talk, she laid out the current state of voice search and provided us with some really tangible advice on how to optimise for this rapidly emerging technology. Voice assisted search is available everywhere nowadays. It’s not just with Alexa, Google Home and all the other voice-activated smart speakers - which have seen exponential growth in popularity over the last 2 or 3 years. All the major smartphones now have some form of voice-activated assistance, you can have them on your wrist (smart watches) and Google’s own desktop search bar has a voice search option too. The commercial opportunities in voice search are quite scarce, it seems so far. As we learned from Aleyda, most voice assistant queries are action-based requests and not so much a ‘search’. So, it’s more a case of people using these voice search capabilities to help them in their day-to-day tasks, e.g. to get directions, use their calendar, create to-do lists...etc. and not really to browse the web or to buy something. Aleyda shared with us that only 2% of people using Amazon Alexa have used voice to purchase something. People still prefer to visually browse and read when it comes to e-commerce. Enter Google smart display; a visual platform that is designed to work with Google assistant. This appears to be Google’s answer to the fact that half of the assistant interactions are a combination of voice and touch. So, smart displays could change everything. Will voice search kill SEO? Google doesn’t expect all activity to shift to voice search. So no, it’s not likely to kill search engine marketing. Wolfgang’s own Al also declared that the predictions around voice killing screen search are “a load of bulls**t”. In fact, it looks like it will add another dimension to search and the number of searches will most likely keep growing. As is the nature of SEO and all technology really, nothing stays still – SEO will always be evolving, and voice search is the next big jump in that evolution, it would seem. How can we optimise for voice search? Aleyda gave us some great insight and practical steps on winning with voice. Searches will become much more conversational and this is something I think we ought to embrace straight away. Almost 70% of Google Assistant requests are expressed in natural language and not just the 2 or 3 keywords - as with text searches, traditionally. Voice search is huge for local based queries and the intent is very clear. “Near me” searches have seen a rise of 600%+ and of course, there are loads of questions. It's not about becoming the top result, it's being the top answer. Aleyda says that we need to think about the 6 w’s (or rather 5+ 1 h). Who, what, why, where, when and how. This is the nature of the queries coming in via voice search. Informational results are what we need to provide if we want to be the first answer and dominate in the era of voice search. How do we win featured snippets? While many of the answer boxes are powered by Google’s knowledge graph or their own services, many are featured snippets, i.e. answers pulled from text content on relevant web pages. Featured snippets tend to be shown for the more complex questions (and one’s likely to be asked via voice search). 40.7% of voice search results are from featured snippets. As if featured snippets weren’t attractive enough to SEO’s already, now there’s another big reason to try and win this position-zero, rich results The type of content we tend to see appearing in featured snippets (according to SEM Rush) are informational pieces, e.g. FAQs, guides, resources and so on. Although at a glance on the SERP’s it appears that a lot of the featured snippets are list based results and one would assume that Google is pulling from HTML lists on the webpage. However, Aleyda informed us that oftentimes Google has pulled these results from well-structured heading layouts. Don’t go chasing featured snippets until all the SEO fundamentals are in good shape. Your technical factors, on-page standards and relevance should be on-point before you try to get one of these lovely chunks of SERP real-estate. Most of, be sure your web pages are mobile-friendly. The move to a more conversational form of search is clearly the way to go. Google has released speakable schema markup which is available in the USA for English speaking news-based websites in a BETA run. It’s also a great idea to write content which is speakable. You’d imagine all written content makes sense when spoken, but often times it does not make for good listening - as is evident from the use of the automated text-to-voice feature that appears on many blogs these days. So, it’s clear that voice search is a big deal and something that will concern brands and SEO’s alike in the coming years. Is it an immediate worry for us? I don’t believe so. While it is worth introducing voice search considerations to our standard practices and having it on our mind when formulating SEO strategies, I’m not so sure there’s a case for shifting too much focus and resources to this technology just yet, in most cases. Rich snippets and featured answers are something most SEO’s chase anyway and as we learned from Aleyda’s talk at Learn Inbound, they’re going to become ever more important. Voice search is a rapidly growing space and it’d be wise to keep a close eye on its development - I know I will be. Read the full Wolfgang take on voice search to explore this topic in-depth. Next up to the stage was an SEO who has a fierce reputation for speaking his mind when it comes to Google and SEO in general. Barry Adams talked to us about technical SEO and what is going wrong for many people. Thinking about it, he reminds me sort of the Bill Burr or Jack Dee of the SEO world. He vents his frustrations on stage (often aimed at Google, it seems) and it’s actually very entertaining. 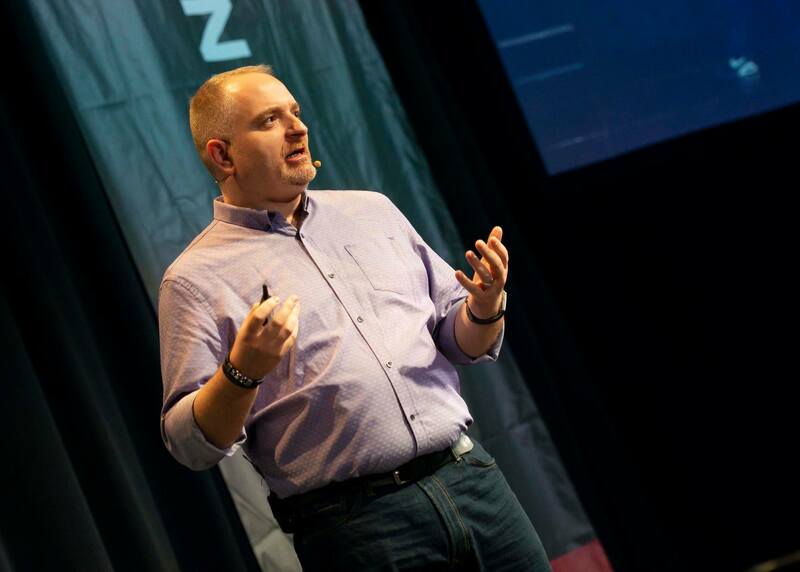 It’s not surprising that Barry incorporated his great humour into his talk since it was the most technical of the day and many would say the least glamorous aspect of SEO. He went through the fundamentals of technical SEO and explained in a very simple way how Google crawls, indexes and ranks web pages. Before gradually diving deeper into the nuts and bolts of how search engines work. I found it was accessible overall, but did offer something for the more technical among us in the audience too. Deepcrawl - A cloud-based website crawler, capable of crawling even the largest of e-commerce websites with no strain. It doesn’t use your own CPU resources or your broadband, which means no slowing you down or issues with crashing your machine. Screaming Frog SEO Spider - Another website crawler which is installed on your computer. It has a great range of configurations to emulate search engine crawlers and provides an abundance of data for us to analyse. Google Search Console - Barry says he (like most of us) is mainly using the old version and expressed disdain for Google due to the changes in the new version. We use GSC to analyse our organic search traffic, look for errors and warnings flagged by Google. We can also communicate with Google from here, in the form of requesting crawls, submitting sitemaps and robot.txt files. Gtmetrix - this is an online based page speed tool which gives the most comprehensive report on website speed and gives an in-depth list of fixes we can make. The nice thing about this tool (above similar tools) is that it gives us a ‘fully loaded time’ score. Google Chrome Lighthouse - This is a tool which is built into Google’s Chrome browser and it runs a comprehensive audit of a website. It covers a multitude of factors and gives us valuable insights to improve our website performance. Ayima redirects path tool - this chrome extension is very useful for uncovering redirect issues on a webpage from within Chrome. There has been a huge emphasis on website load speed over the last few years. Yet - as the 2017 Wolfgang e-commerce KPI study reveals - many websites are not optimised for speed. Barry dived into redirects and how link value becomes diluted by an estimated 15% for each redirect in a chain. Despite what Google says on this matter, there is strong evidence that redirects bleed link value. Cut down on internal redirects and you can help to preserve link value, plus improve traffic. Also, look out for links that redirect more than once, ideally they will go straight to a live page. 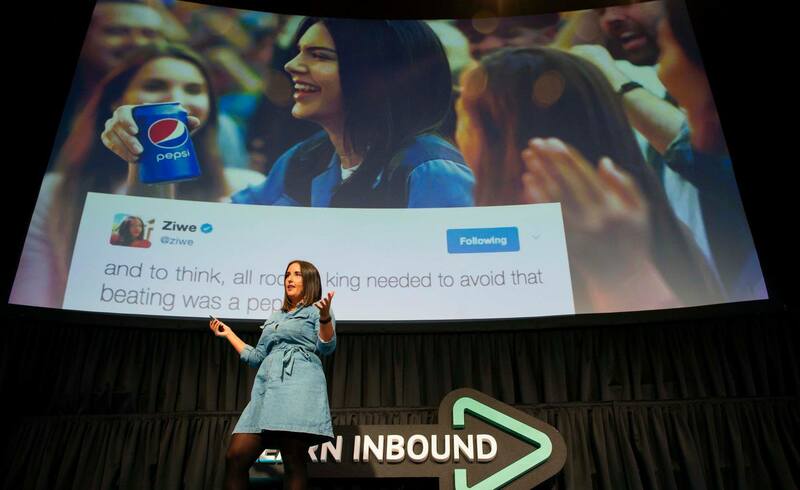 Next up to the stage at Learn Inbound was Britney Muller of the much-revered Moz. She delivered her view on the future, as far as SEO is concerned. Despite the best efforts of somebody banging from the other side of the emergency exit (near the stage), Britney managed to deliver the talk like a pro and didn’t seem to be phased. The person relentlessly trying to gain entry certainly did miss out! She spoke about how Google is trying to predict what you want before you ask the question. They’re aiming to reduce friction with their services. We see this in the likes of their predictive suggestions in the search bar, Gmail’s new ‘smart compose’ seems to know what we’re thinking and gives us pre-populated replies. On mobile, Google is learning our routines and trying to be a step ahead to assist us. Google is still dominating the search market, taking up 61.6% of the pie for their core search engine and as much as 85% when you add their other properties (images, YouTube, maps). For every paid click, there are 20 organic clicks (source; Spark Toro), yet SEO see’s far less investment, just 10% of search marketing spend in for SEO, compared to 90% on PPC. This fact may come in very useful for future SEO proposals. Britney was the 2nd speaker of the day to discuss the importance of featured snippets, and we hadn’t even had our first coffee break yet. I guess that goes to show how important this topic is. Machine learning is driving growth in featured snippets. Google wants to know what we want before we do! Britney told us that featured snippets answer more than just the user’s query, but rather the user’s overall intent. That’s to say, it’s answering the questions you might have to follow up the original query and Google is intelligently trying to fulfil your overall goal. This is an important concept to consider when we’re creating content. Because of featured snippets, a whopping 61% of mobile searches end without a click. This is a stat that floored me, personally. It’s great to be the answer, but we still want the traffic, right? About 41% of featured snippets show for question-based queries. This reinforces what Aleyda was speaking about earlier. Britney gave us some more advice on earning featured snippets. For those ‘step 1-7’ type results, she suggests a sensible heading structure, with concise summaries for each step. Much like what Aleyda had suggested to us in her talk earlier on. You can watch Britney talking about how to target featured snippets on whiteboard Friday. Aleyda had touched on this earlier and Britney went a bit further on the advances in schema markup. This is Google giving webmasters the chance to provide clear information for their knowledge graph and to help them provide well-formulated answers to searchers direct questions. Britney told us about Google’s new answer, QA page, FAQ page and Speakable Schema, in the context of solutions in performing well in question-based SERPs, including voice search. Google Actions is another service for webmasters and content creators to make content “more discoverable, by claiming and refining automatically generated Actions” in Google’s directory. Again, we heard that most voice search is not technically a ‘search’, but assistance requests. Britney did share some more interesting findings about voice search. A lot of voice activity happens in the kitchen, as it’s the perfect aide when cooking or while eating or planning your day over breakfast in the morning. As discussed in Aleyda’s talk too, voice search is not very commercial. Britney suggests that Google’s smart display virtual assistant will not only merge touch and voice but go a long way to help Google in monetizing voice search. There is some criticism that virtual assistants are having a negative impact on children's verbal interactions - given that we take a very demanding tone with these bots. Google is attempting to put manners on kids, has announced their “pretty please mode” at this years I/O conference. This will work to identify when a child is using Google assistant and insist on politeness from minors. Britney went over some of the automated services available to SEOs. She went over NLP (natural language processing) and NLG (natural language generation), both interesting development, however, she points out that the latter has a way to go, something the guys at Articoolo were not willing to discuss (they had minor spat on Twitter). She also discussed the potential uses of Algorithmia AI tools to perform tasks, such as populating meta descriptions. It is a very technical area to get in to, but depending on the scale of your business - there could be some real innovations to be discovered. All the speakers at this stage made this point. If we don’t get the basic right, all other efforts of less effective. Things like page load speed are vital. 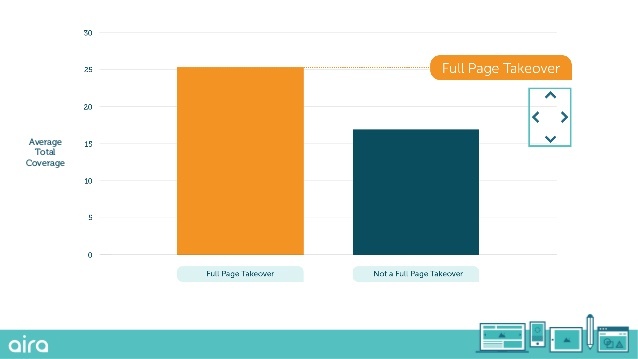 Britney says that over 53% of users will abandon a page if it takes over 3 seconds or more to load. Like Barry, she suggests that Google lighthouse will be a key tool going forward, as it gives invaluable insights on the performance of a website. Google accessibility is also a very useful resource in ensuring our websites and apps provide a positive UX for all users. Britney says that keeping on top of your technical SEO is important (that’s all the stuff Barry covered). Your websites overall content quality is important too. It’s a good idea to clean up and prune your web pages. This is to raise the overall standard of page quality. Too much thin content is bad news because Google doesn’t like clutter. 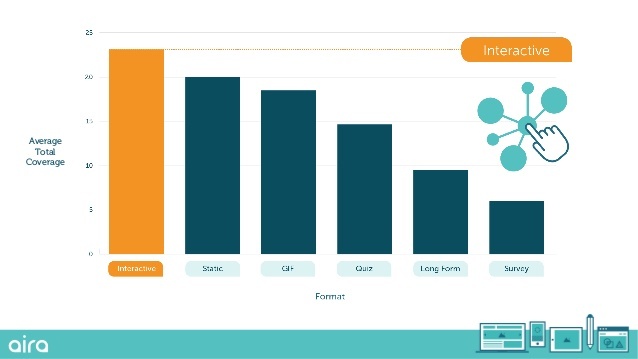 Moz did a huge content clean and saw a significant boost in overall traffic. Keep an eye on voice search, but if you can’t, just make sure to chase featured snippets - you’ll be almost halfway there. Organic search produces an awful lot more clicks than PPC, invest more in SEO. Google is the giant and that is unlikely to change very much in the foreseeable future. There is loads of fancy technology coming through, but don’t don’t forget the basics. The user comes first, plus without having the fundamentals in order first you won’t earn advanced SERP features. 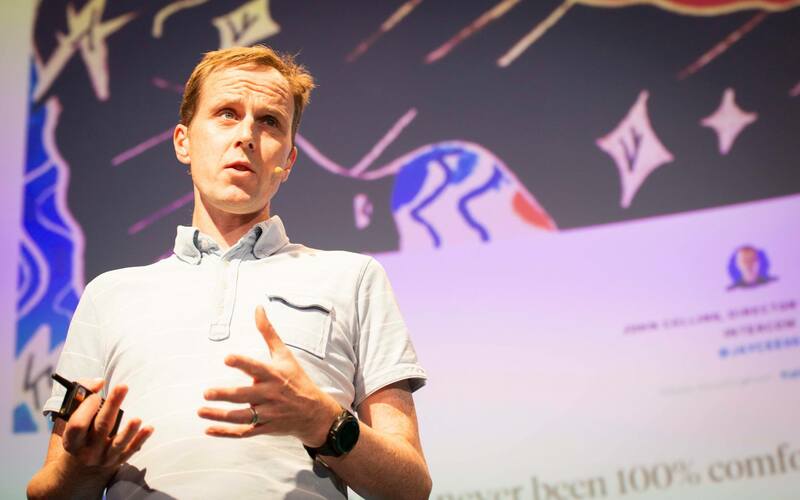 Paddy Moogan is the co-founder of a digital agency called Aira in the UK. Who also wrote the book on link building. Well, simple insofar as the most successful tactics that have been working from the data compiled from a year's work of his agencies link building campaign data. However, after making this statement, he admitted that although this is true for the clients he is working with, each client has different strengths, weaknesses and roadblocks for investing in these type of link building campaigns. What is the process of getting links? Building links is easy. Building high quality links is hard. Nailing down a process of acquiring top-tier links from the press or high authoritative backlinks from niche relevant domains on a consistent basis is a different question. Like Paddy, our SEO team at Wolfgang recently engaged with Mark Johnstone, the most prolific master of viral creative content marketing in the industry to nail down a process of getting links. A process that involves explaining the strategy to the client, but more importantly explaining the process to the client. Like Mark mentioned in our training, great ideas although simple don’t just happen out of thin air. Great campaign ideas that generate press interest and links are ones that go through a rigorous ideation, filtering and a concept scrutiny. One element to the idea filtration process is asking the question “how easy is the idea?”. Shown below is exactly what Paddy and his agency found when they compared campaigns on how difficult a piece was to create versus how successful it was. Sometimes simple effective yet complex data visualisations like the 100 years of rock aren’t the only way at getting links. Simple ideas that are not complex to do such as visualising Instagram data to show the most instagrammed place in Galway, that our team done recently can be a great way to be getting links on a smaller budget. Increasing the budget to turn the same data into a full-page interactive map, Paddy Moogan and his team recently got over 50 links “best beaches in the world according to Instagram” for their client travel supermarket. The key takeaway from this graph is that not all pieces have to be complex. Sometimes simple data visualisation pieces and also be successful at acquiring top-tier links. What Format works best for getting links? In an attempt to answer the common questions in link building, what is the best tactic for getting links at scale, Paddy and his team analysed over 4,500 pieces of coverage to find out, which format works best for link building, What they found from crunching the numbers was that interactive pieces work best for link building. This finding is in sync with Buzzsumo’s research into the top performing content, quizzes might be successful at going viral & generating a huge amount of social engagement but do not do well from a link building perspective. 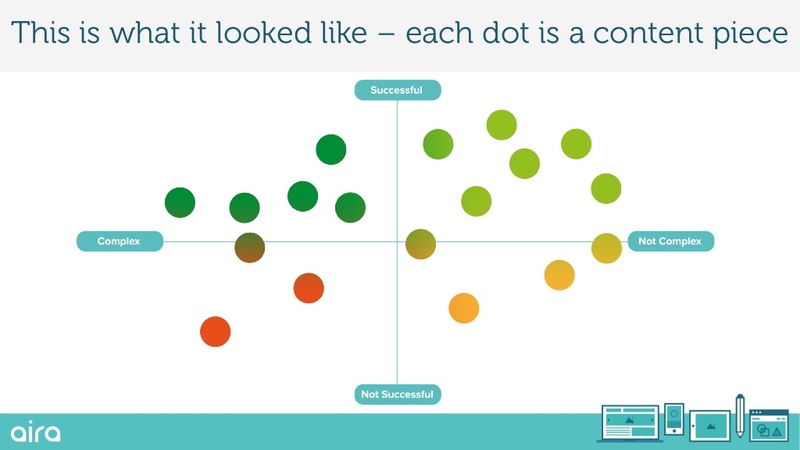 Despite the resurgence of using static infographics in the content strategy, interactive data visualisation is still the most effective method of generating top-tier links at scale. There are various types of data visualisation but what was interesting from Paddy’s findings was the radial bar charts performed the best in terms of total average coverage. However, it is important to note that this analysis was performed with a subset of his agencies client campaign data. Other link building researchers have found that maps work best for generating coverage and links. As a takeaway, It is important to take this research into consideration when considering what best way to visualise a particular dataset for links and coverage, but not to solely focus on what format works best for link building. Instead of focusing on what angle, story & narrative can be told with the data is what journalists are actually looking for. Is a full page takeover or a blog better for getting links? Again, above are just some examples where full-page takeovers have dominated in terms of referring domains and backlinks. But at the end of the day, the above pieces had a great angle, a story to tell, visualised the data beautifully and resulted in being a great linkable asset for the client. Having suspected this for a while it’s nice to see some great insight from Paddy’s research that backs up our previous assumptions. The Mobile First Index: what, why and more importantly when! The chief growth officer from Deepcrawl (remember Barry recommends this tool), John Myers was up next. He went over all things ‘mobile-first indexing’ for the uninitiated. Since the latter part of 2016, there’s been a lot of chatter about Google’s impending mobile-first indexing. We all knew it was coming, but we didn’t really know when it was coming and then boom! Since April 2018 they’ve been rolling it out. Check your GSC for notifications, as they’ve been sending messages to webmasters there announcing when your website has been added. But, what is it? Mobile first indexing means that Google now looks at web pages from the point-of-view of a mobile user. It is not a second index as Jon made sure to point out (e.g. not one for desktop and another for mobile). The Google index (like the majority of internet users) is now mobile-first. What it means is, if you strip-down your desktop version to make it work better on mobile, you’re going to exclude all that stuff from Google’s crawlers. Similarly, if you’re serving website versions for desktop and mobile users, it’s the mobile version that Google cares about. The internet has been mobile first for a couple of years now and this is Google’s index correcting itself. Jon went over the history of the mobile internet, from the incredibly low bang-for-your-buck we got from WAP browsers in the early 00’s, through to today’s 4g connected world. In the almost 20 years since WAP, mobile internet was mostly an afterthought for businesses - but with the advent of the smartphone and responsive web design, it has become the main way people access the internet. In fact, mobile internet has led to the use of the web in general growing exponentially, in a very short period. Early in 2015 Google reported that over half of queries performed were from mobile devices. This was the first time mobile searches passed-out desktop searches and the trend continued ever since. How Should We Serve Our Mobile Websites? Responsive web design, dynamic serving and mobile versions (m.) - have been the three available options to serve your mobile-friendly website. Separate mobile versions (e.g. m.example.com) is not a good idea from an SEO perspective. Dynamic serving can be ok, once you consider that it will be the mobile version that Google indexes - but it’s not the ideal way of doing things. The leading technology for the mobile-first world is responsive web design (RWD). It’s one website, which uses a grid layout and CSS trickery to adjust the layout of your pages for all screen sizes. Not only does responsive web design look great and work great, but it’s also cost-effective and very efficient for SEO too. Google loves RWD, but what Google love most is AMP web pages. It’s their own technology, ‘Accelerated Mobile Pages’ and this goes back to a sort of dynamic serving, but of a very stripped back and lean version of your website, which is cached on Google servers and pops up essentially within the Google SERP (for mobile users) within a split second. Jon Myers has a lot of love for AMP, however, there was at least one person in the room who does not love Google AMP… Barry Adams - as is evident from his recent blog post entitled; “Google AMP Can Go To Hell”. It’s not news to most of us that mobile internet has taken over, so it’s no surprise that Google has decided to take the approach they have with their mobile-first indexing. Jon was speaking to a wide range of people in the room, not just SEO’s. I’d hope most SEO’s were aware of mobile first indexing well before arriving at Learn Inbound that morning. But, no doubt there were plenty of people who needed this nudge and to be reminded that we now - more than ever - have to be to thinking in a mobile-first mindset. Make sure you have a mobile-friendly website and that you’re putting your best foot forward on mobile. Laura Crimmons is an award-winning PR and a thought leader when it comes to content marketing. She has a background that is a powerful mix of PR, creative, social and content. 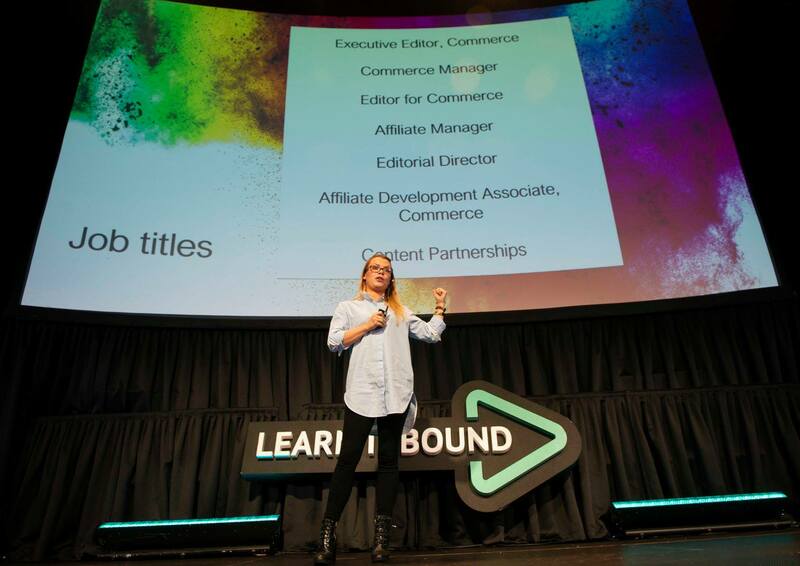 Her talk at Learn Inbound was packed full of valuable advise when creating and executing content marketing campaigns. She proved that you don’t need a big budget to have a big impact. How to get more out of your PR campaigns? There are a few golden rules we should abide by, as Laura explained. Work hard and you can deliver more. Know your audience, do the research. If you want your piece to take off, it needs to hit the right points for its audience. This is everything from the topic, format and how it’s distributed. Think evergreen and multi-channel, so you can squeeze more value from your ideas. Plus, always look for new angles to deliver your content from - time and time again. Putting a new spin on it. Laura gave us loads of tricks and tips to utilize the resources that are openly available to us. One big one was to audit previous campaigns and see if there’s anything that worked before that could be used as a foundation for something new. We don’t have to break new ground every time with our content marketing campaigns. Laura’s Learn Inbound talk was very practical. We all took something from it here at Wolfgang. There are many ways to make the most of our ideas, time and efforts. We should be looking to maximise these resources to make out campaigns work harder for us and our clients. Lexi Mills is a multi-award winning SEO and content marketer. 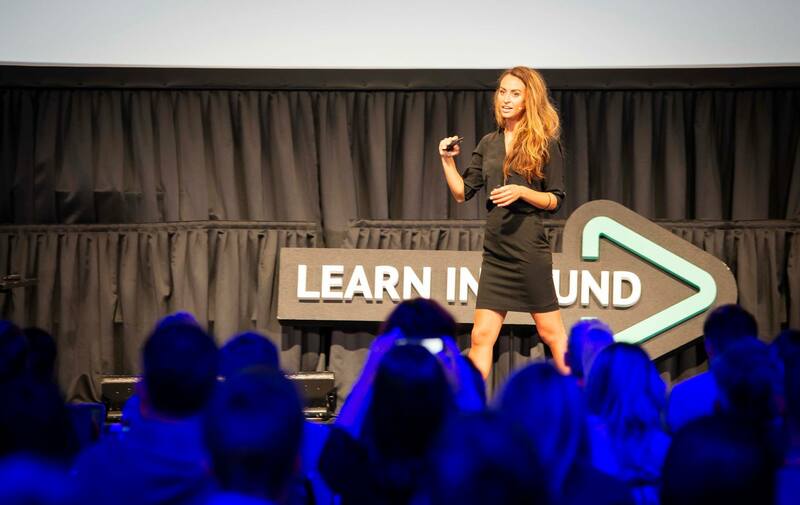 We were privileged to hear her speaking in Dublin for this Learn Inbound event. Lexi’s fantastic talk covered many points in relation to effective content ideation, content distribution and ultimately, how to earn links at scale - something SEO’s love to hear about. She discussed the importance of having the right systems and processes in place to be an effective content marketing team. She also shared some great tools and tactics to help us achieve this. This way, you can have some proof of concept and confidence in your ideas before pitching the idea. Lexi also went into how to get stakeholder buy-in for your big content ideas. We learned about picking the right outlets to release our content through, such as the major news agencies (Associated Press, Press Association, Reuters and so on), as well as good press release distribution services. This is how to reach a lot of the right people, without too much stress. Timing is everything for journalists. They want a current story, for the right time and often have very little time to come up with ideas. So, feeding them with ideas is very useful indeed. Our relationship with publishers is and should be mutually beneficial. A good way to come up with timely content ideas is to check forthcoming calendar days that might align with the business you’re working on. There is a national or international day for almost everything. Take a look at the timeanddate.com fun days calendar for ideas. A great tactic Lexi pointed out was to reuse a good content idea and try to reframe it to fit into the news cycle for different occasions and calendar days. She showed us some great examples of the same concept revived with new data and a new theme. Lexi also recommends having at least 3 trusted journalists that you can run ideas past and try to validate them. She also has a tactic when pitching an idea. Don’t ask for yes, ask for considerations. Which is apparently an effective way of approaching stakeholders. Having gone through an incredible amount of content strategy, tactics and brief case studies, Lexi decided to take some time to step back and look at the state of the world. She points about that there are nearly 4 billion internet users in the world now and nearly a quarter of a billion have come online in 2017. Incredible! With the rapid expansion of the internet and the increasing pace of the web integrating into all aspects of our daily lives, regulation and the law are having a hard time catching up. Lexi warns of the danger of reactive policymaking. She then went on to declare that our job as digital marketers is not just to grow businesses, but to protect them too. She suggests there be a sort of ethics oath, similar to the medical care industry, or even like members of journalist organisations have. For a team to create very effective content and at scale, we ought to have our systems and processes refined. Creating a mutually beneficial relationship with publishers is important. When we are tuned into the needs and wants of publishers, then we can be more effective content marketers. 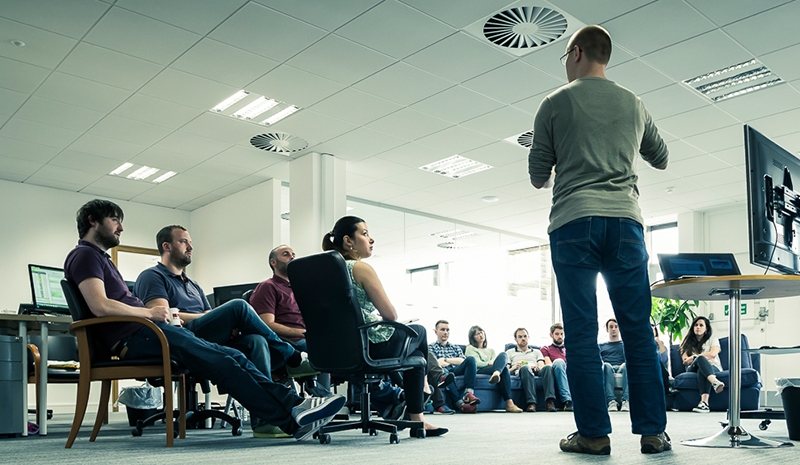 Rigorously validate ideas and approach with care when pitching ideas to your stakeholders. Also, try to include journalists/content-writers in the idea validation process. 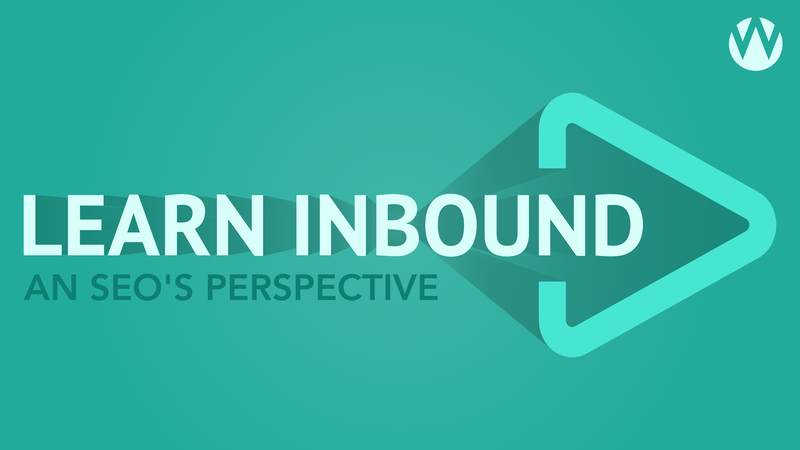 Lyndsay Wassell came to Learn Inbound with something a bit different. Her talk was all about personal identity online, how to protect yourself and if you ever need to, how to recover. 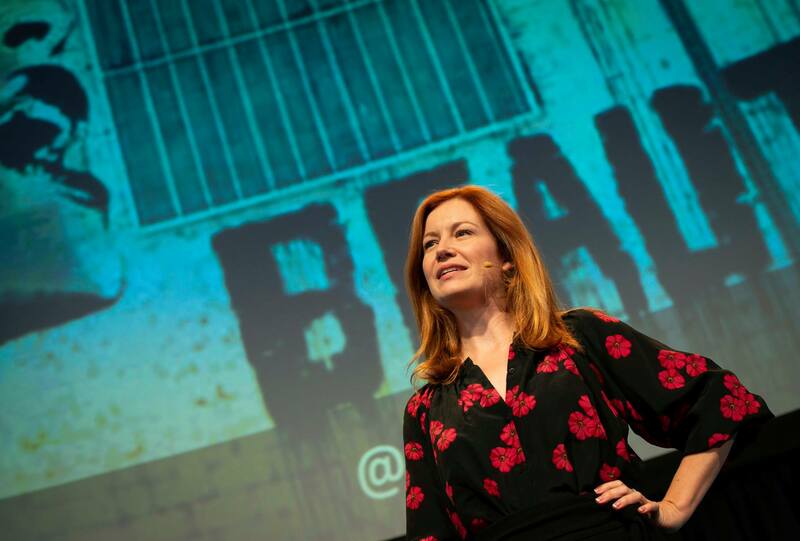 This talk was aimed at individuals, but of course is relevant to brands too. After a day of strategy, tactics and statistics Lyndsay broke things up a wee bit with this. We’re all online, even if we think we’re not, we can and do show up somewhere on the web. Lyndsay spoke about controlling the narrative around your own identity. While it’s not all controllable, much of it is. Nobody is safe from going viral for the wrong reasons. If we let our guard down for a split second we could be subject to widespread ridicule. It could malicious, or even just an unflattering situation. We don’t want these things to define us forever. As Lyndsay points out, “the best time to do identity management is before you need it”. She spoke of certain well-known cases, such as Ella Darby and Dublin’s Paul Stenson. These two had a spat online which led to several pieces of viral content back and forth. They were all over the media for about two months, but because they were ‘digital influencers’ and have their own audiences, these stories won’t define them. They have control of the narrative, to some degree. They have had other stories and will have more, no doubt. However, in the case of Cohen Naulty aka ‘The Quarter Boy’ he had no real presence and when a story about when he paid for a meal with quarters went viral he became ‘The Quarter Boy’ forevermore. What you say on social media today could very well impact your life forever. Lyndsay gave some example of people who said things online that later regretted. You never know what is going to take off and go viral. Sadly, this has on several occasions led to incredible stress and even some suicides. Think before you type because once it’s online you can never take it back. This talk really hammered home the impact of the internet, for better or for worse. It can so easily go wrong and we should be aware of this. We have the power to publish positive content and become a force for good online. Control your own story and make it a happy one. 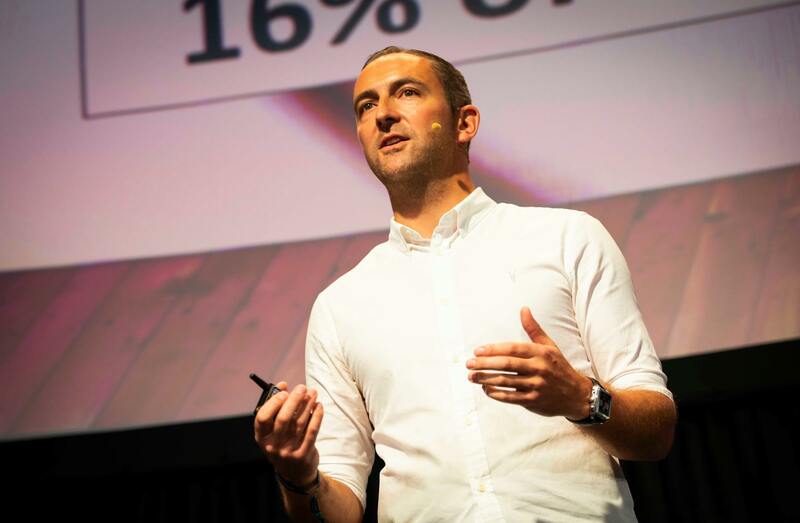 Intercom are a company spanning with offices spanning across 5 countries, they’ve 35k+ customers worldwide and all this happened in 7 short years. What is the secret to their success? Well, one big part is that they’ve mastered content marketing and this is what John Collins spoke about at Lean Inbound. One major takeaway I took from John’s talk was that great content needs to be great. So, whatever resources you have at hand, you should make the most of them and don’t compromise on quality. While you’re growing, so will your content. John spoke about a time when Intercom was about to launch an ebook. After pouring their heart, soul and precious time into this epic piece of content they felt that calling it an “ebook” undermined what it was. It was more than that, it was a book they authored and calling it an ebook didn’t do them justice. This is an interesting mindset to have when you present your content to your public, I thought. If you’re belittling the content yourself, how to except it to be received? On that, he also talked about how Intercom are uncomfortable with the term “content marketing”. They wrote an article on why they’re dropping the term content marketing which is worth a read. John talked about how content can be used as a tool for all objectives. But, we must be clear in our objective before we begin planning. Content can be used to sell a product/service, educate your customer, to attract the right employee and to grow your brand. Plus, there is very often unintended consequences of great content. It’s very impressive how John and the team at Intercom invested (and continue to invest) so much of their time and resources into great content. It has clearly paid off. They set high standards and keep raising the bar for themselves. That is a surefire way to keep things progressing. Speaker: Wil Reynolds It’s no secret that we’re a big fan of Wil Reynolds here at Wolfgang. He has spoken at our Wolfgang Essentials event in the past. Despite feeling under-the-weather, he pulled off what I would call ‘the talk of the day’. He always seems to find fresh ideas and angles to talk about. This Learn Inbound talk was all about the client/consultant relationship and how we often find ourselves ‘stuck in a rut’ with projects. During the fantastic talk Wil explained that we shouldn’t have a standard report every single month and to be delivering the same points on weekly calls is doing nobody any good. In fact, if there’s nothing to talk about, we should be spending that time uncovering interesting things to talk about next time - otherwise, we’re wasting everybody's time (and money). Wil spoke of how we’re all guilty of chasing these metrics, but we often don’t stop to ask why? Do we ask ourselves ‘is this going to improve our situation?’. The examples of this Wil used is when a client states “we need this many links”. But, why? Is there some correlation here for our specific goal? Maybe our focus should be somewhere else. Let’s ask why and use our skills to uncover the really valuable KPI’s. Just like our own head of SEO says regarding voice search, Wil also stated that the commercial value of voice is very limited. There’s no need to waste time and resources in chasing this shiny new thing. Voice activated search is still an emerging technology. It won't take too much time before it is normalised and part of all our daily lives. However, the business value of voice for marketers will take even longer. When we try to break the mould we are up against biases. People don’t like to break from established norms. They’re more likely to think you’re a crackpot. You need to work hard to convince people of new ideas. Wil gave us some great examples. If you uncover some opportunities that lie outside of your remit as an SEO, you should definitely share your ideas and thoughts. Don’t be afraid to get involved in your clients business outside of SEO. Your priority should be growing the business overall. This is a very good point Wil makes. We should be our client's partners. We all want the same thing; success. The same old thing gets us nowhere. Thinking outside the box and questioning the norms is how we cut-through and make an impact. In the long run, we’ll do better by our clients this way. There shouldn’t be a standard tactic in SEO. Each objective requires fresh thinking. Dig deep to find the right path to success, every time. Find new ways and ideas. Don’t forget the razzle and dazzle. Standardised reporting is boring. Yes, once we have established sensible KPI’s there will be repetition, but let’s try to review this as often as possible so that we can keep progressing. 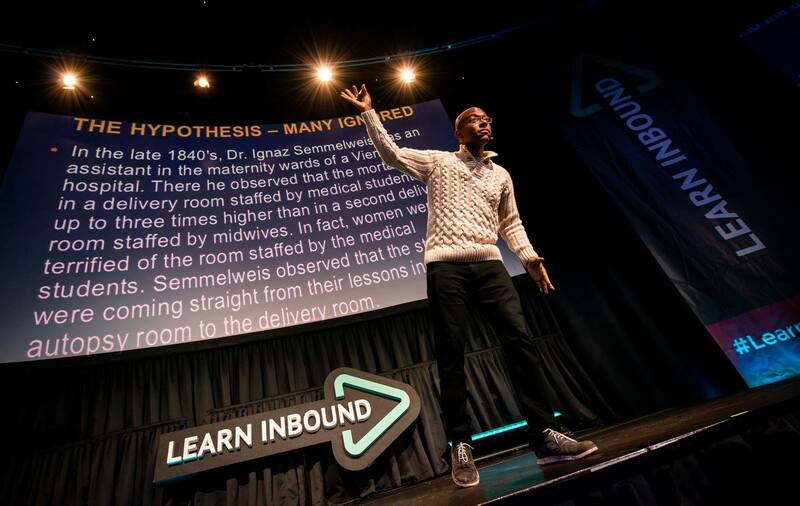 Learn Inbound have really stepped up their game with this event. The staff, speakers and venue were all perfect. Our day there couldn't have gone better. Well done to all involved! It's very clear that for SEO's we need to really take care of the technical aspects of our websites and push to earn more rich results because this is clearly where Google is going. Voice search is on the rise and if we take care of all that, then we're almost ready for voice. There was a big emphasis on being the right answer to our audience's questions, which is something that will be key to future-proofing our brands as far as search is concerned. When it comes to content and earned media (and links) we need to put a lot of planning into content ideation, creation and promotion. Great content should be great for us (the marketers), the publishers and, of course, the audience. Standing out is important when it comes to content, but it's also important when it comes to pitching ideas and earning buy-in from stakeholders. Unless we can excite our clients, we will never be able to do the kind of fantastic work that gets us out of bed in the morning. * Event images by Dave Keegan Photography.